Kona Country Club, Ocean Course Hole 3: By far the most interesting golf hole on Kona Country Club, this par 3 is long and exciting. 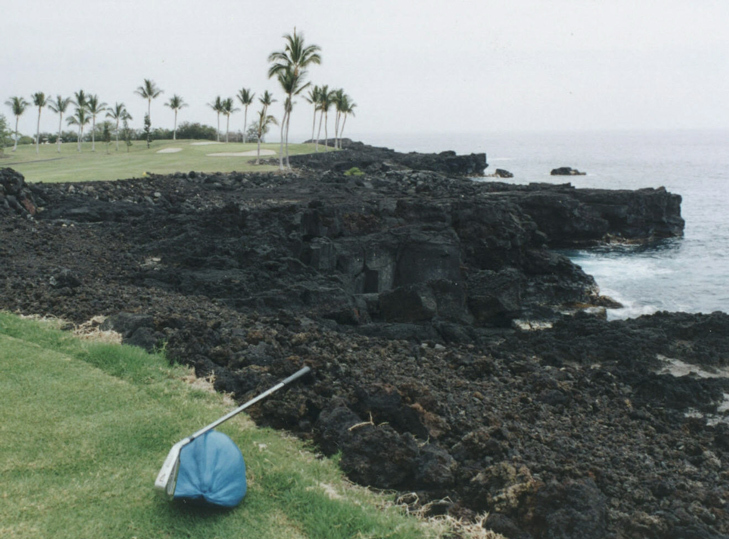 Any shot hit right will find the rugged lava coastline and there is a nice frame of palm trees and sand traps around the green. 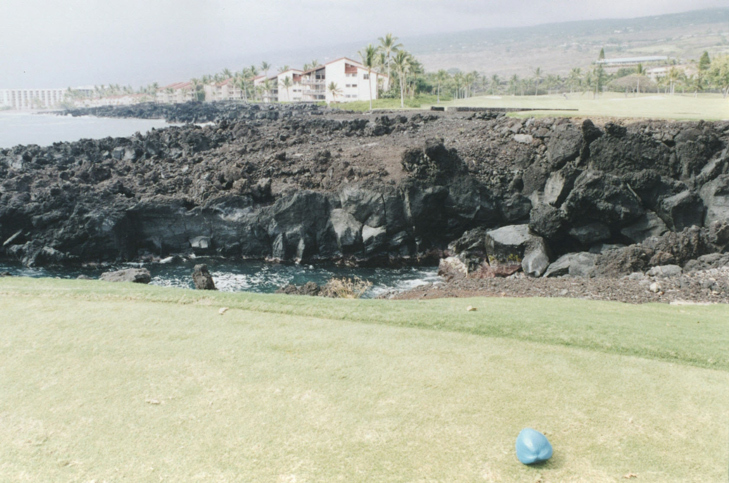 Kona Country Club, Ocean Course Hole 13: The 13th is a long par 4 that is mentioned because of the placement of the tee box on a lava outcropping hanging over the ocean. While it would take a horrible golf shot to find any of that trouble, it is pretty. The other danger is the obvious shot left, which is OB. Right is fine. More Big Island Golf Reviews are Waiting.